The environmentally conscious home or business owner deserves a better choice. 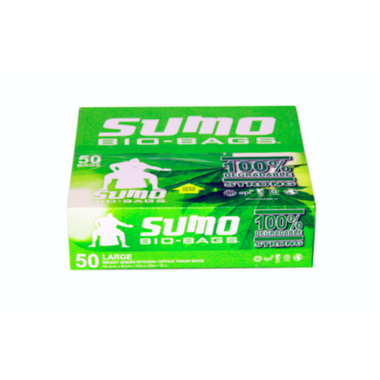 Sumo Large Kitchen / Office Trash Bags are great for everyday home and office use and are made using EPI’s Totally Degradable Plastics Additives. Built strong enough to pack all your garbage, and bright green for high visibility so you never miss the can. All this and they look great!